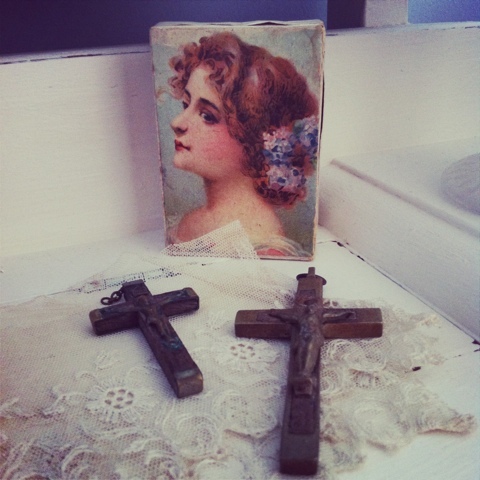 Thought i would show you some of the items on my dressing table....note that the mary lavender bag was made by my talented mama! 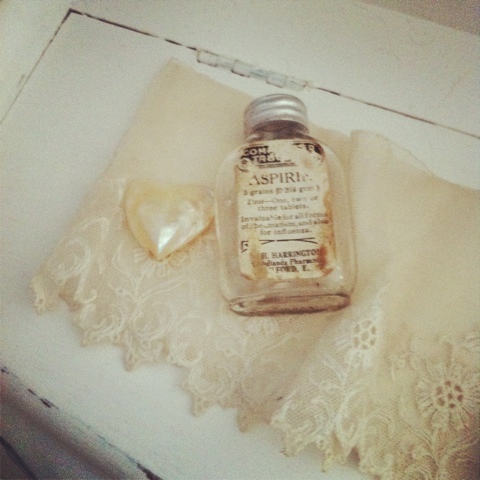 Vintage fabric, vintge pearls and a gorgeous print she ironed on. If you are interested in her items let me know. 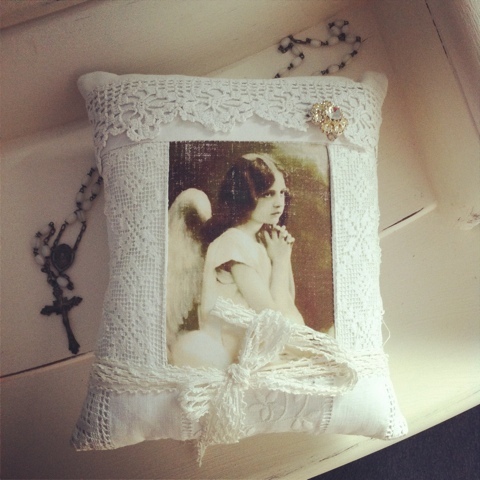 The lovely angel cushion was an item from niki-nostalgia at the stonehouse. 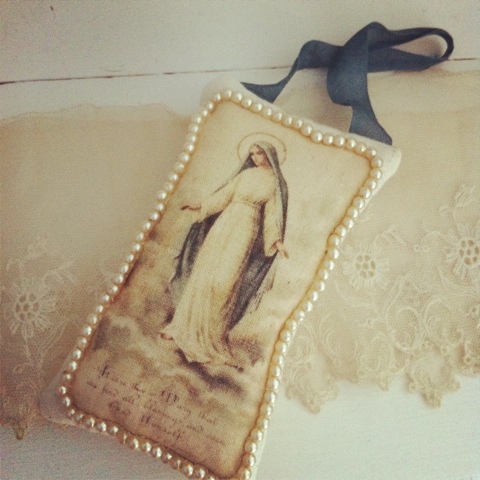 Beautiful keepsakes...Your Mum has a great talent! Thanks niki!!! Not sure how to highlight your blog address as a link!